Intermediate, or subacute, rehabilitation programs offer a transitional level of rehabilitation during a stay at a hospital, rehab center, or a skilled nursing home. This care is less intensive than that received at a dedicated inpatient rehabilitation facility. Patients in intermediate (subacute) care receive 24-hour nursing care and often participate in 1-3 hours of therapy per day as they are able to during their stay. To see locations that provide this service, click the 'Locations' link. 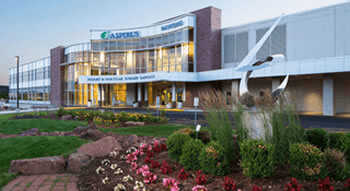 Inpatient Rehabilitation at Aspirus Wausau Hospital offers comprehensive rehab care for patients with complex conditions. To learn more, click here.